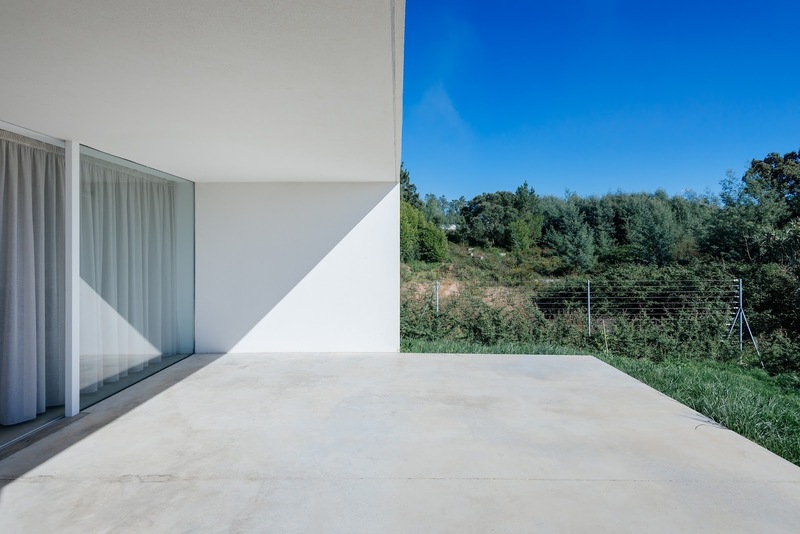 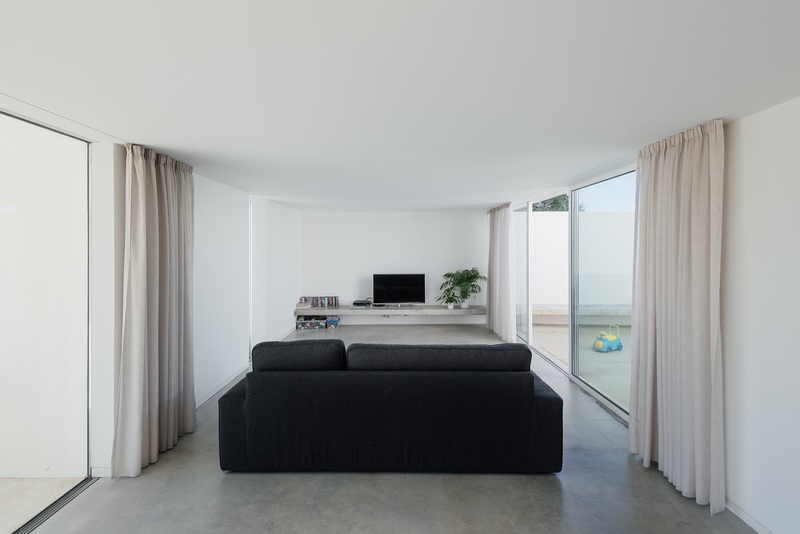 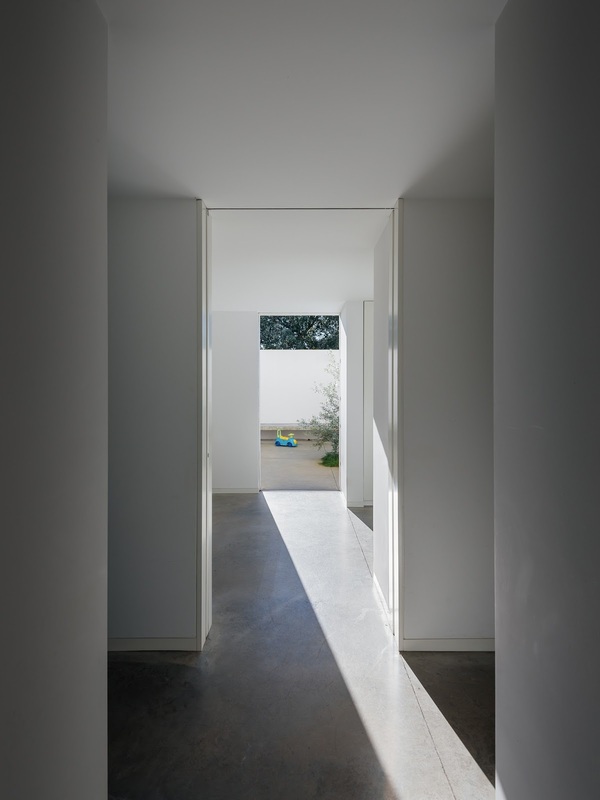 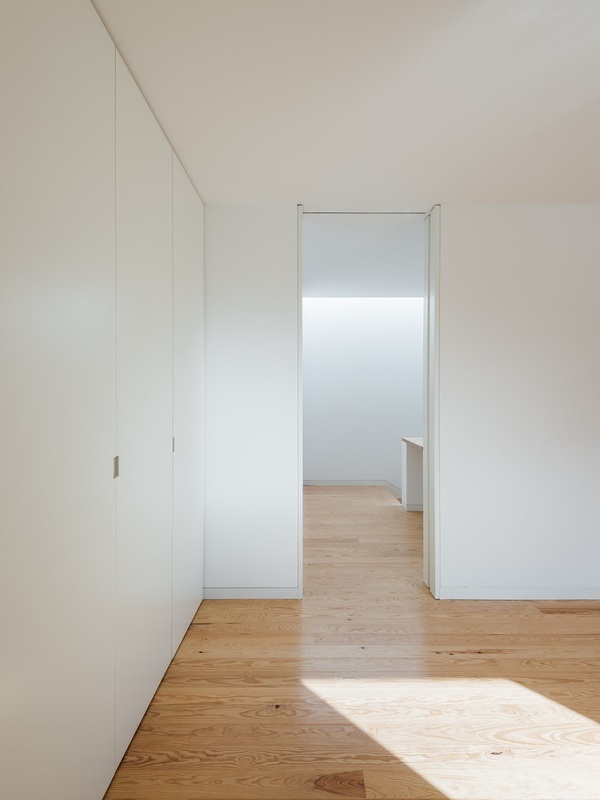 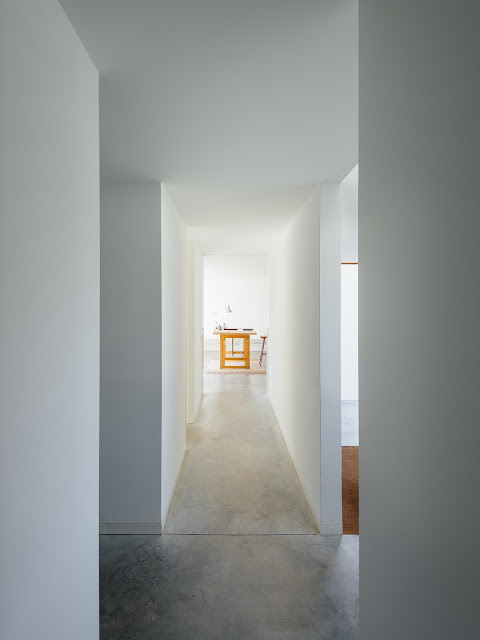 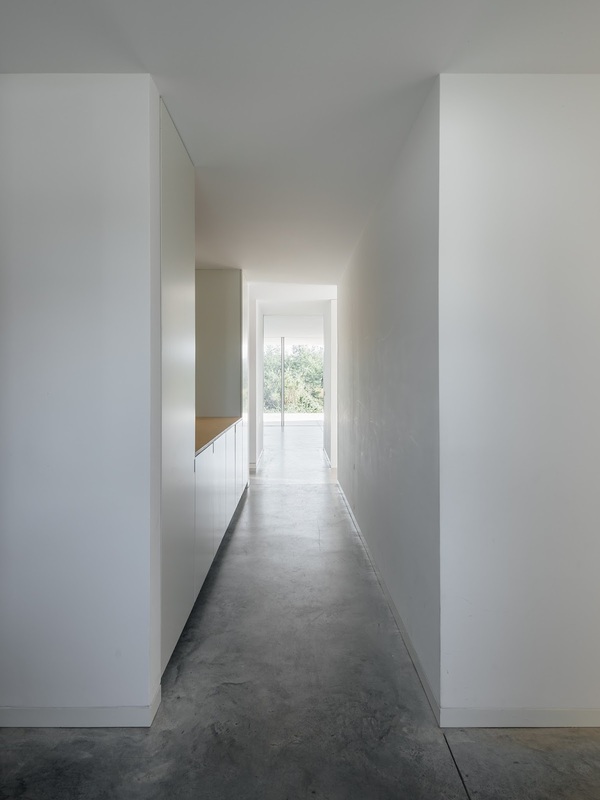 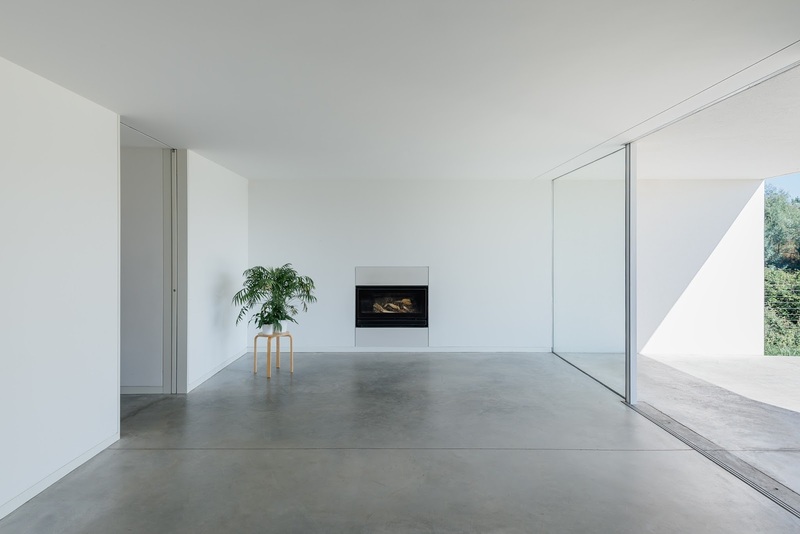 Branco-DelRio Arquitectos (João Branco + Paula del Río) designed minimalist Casa das Preguiçosas in the outskirts of Coimbra, Portugal. 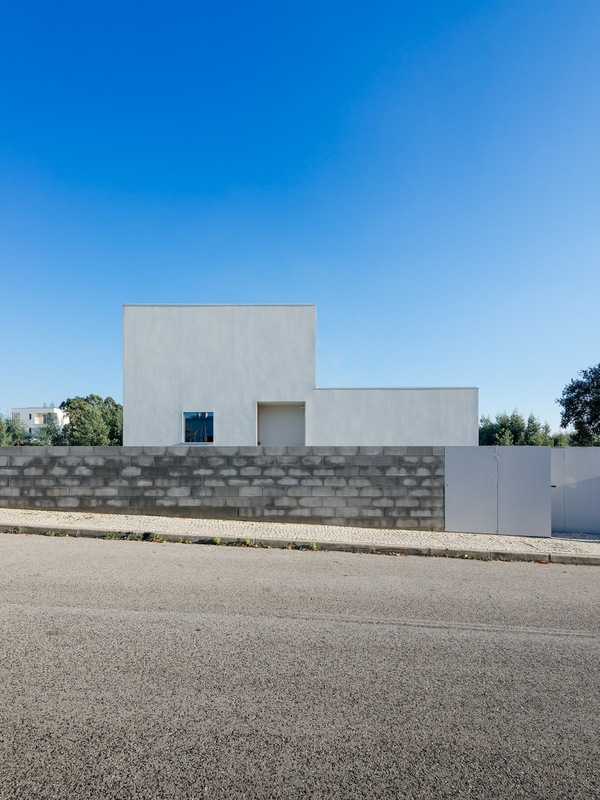 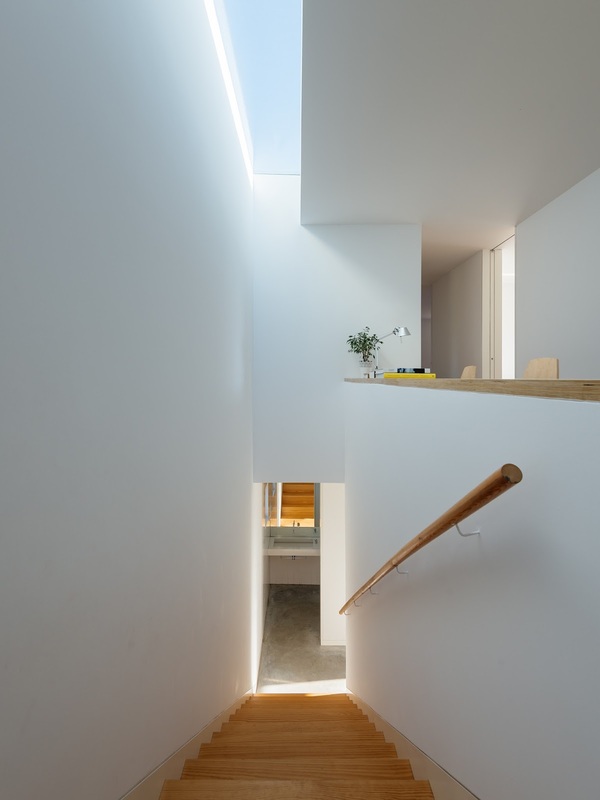 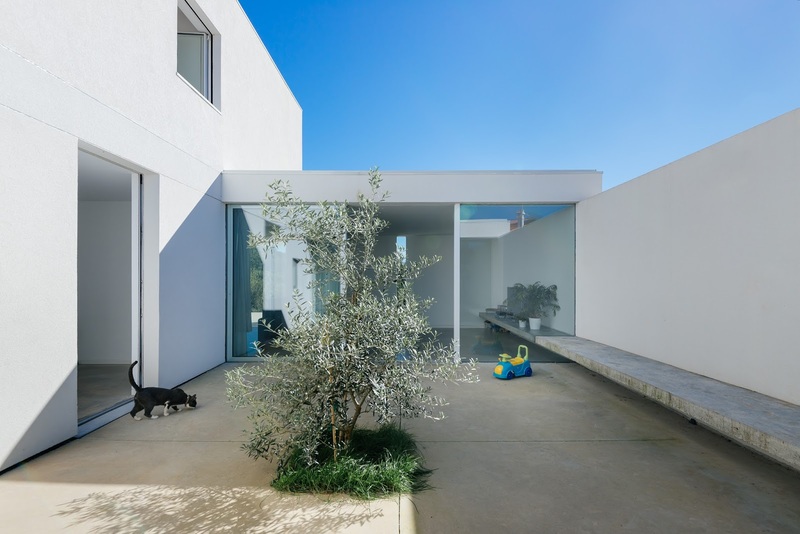 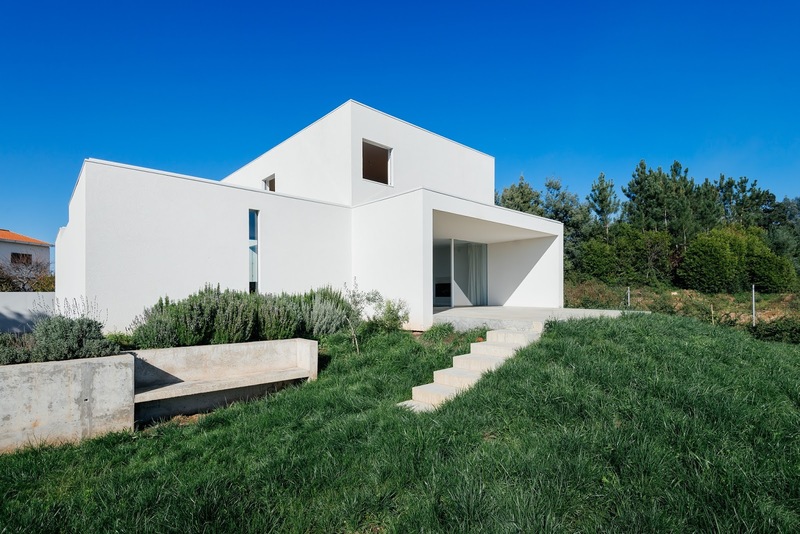 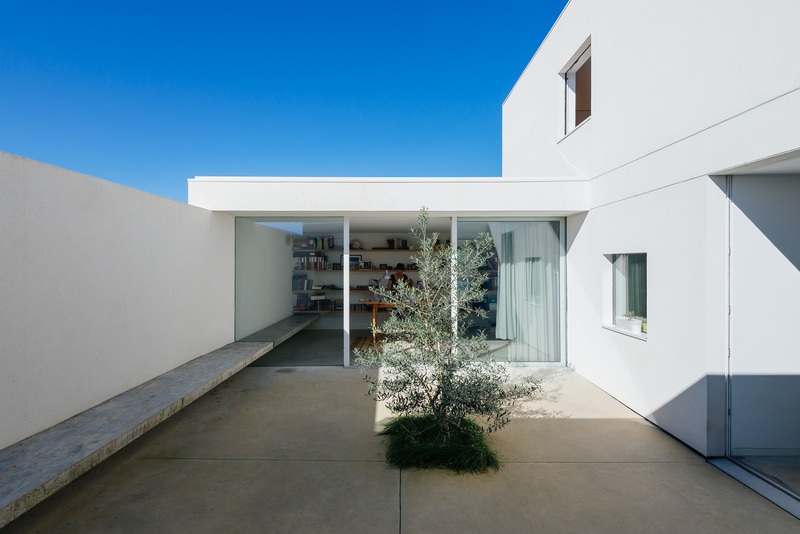 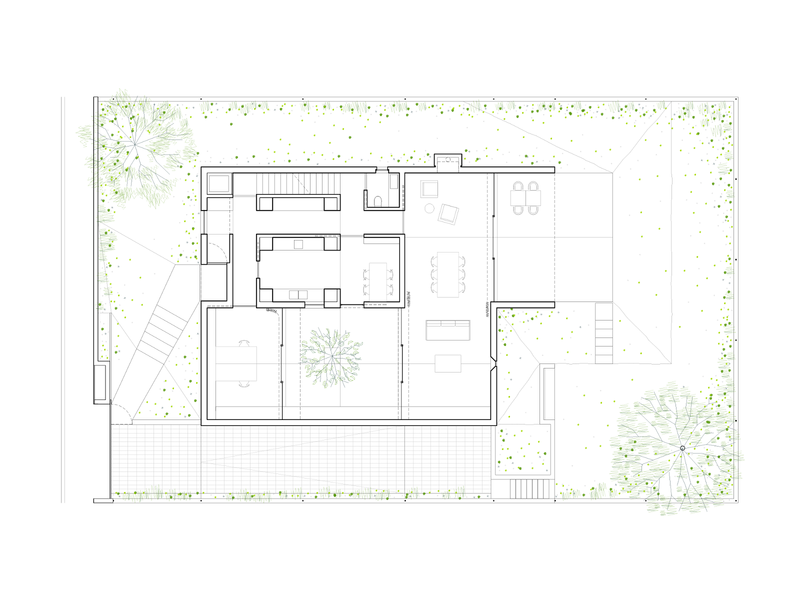 "The house is located in the outskirts of Coimbra, an area of single family homes in consolidation process. The plot currently enjoys a pleasant view and is a bit isolated, features that will disappear when adjacent buildings rise. 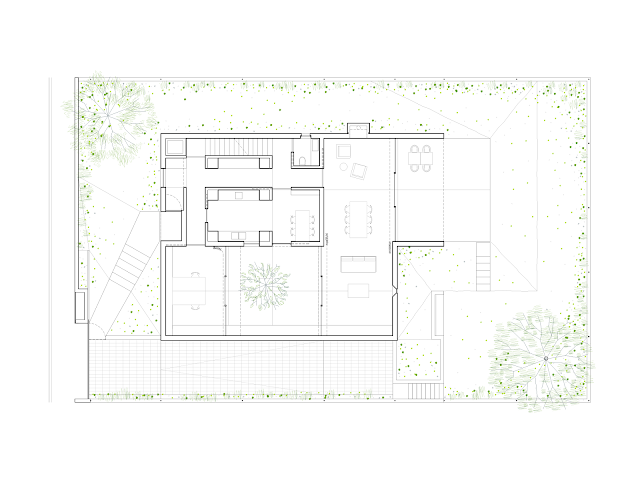 Thus the house, elevated as required by the rules, is enclosed seeking one single opening with a porch to the south garden. 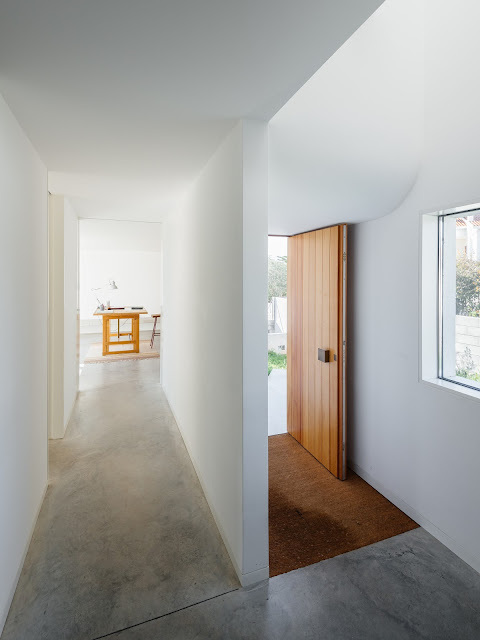 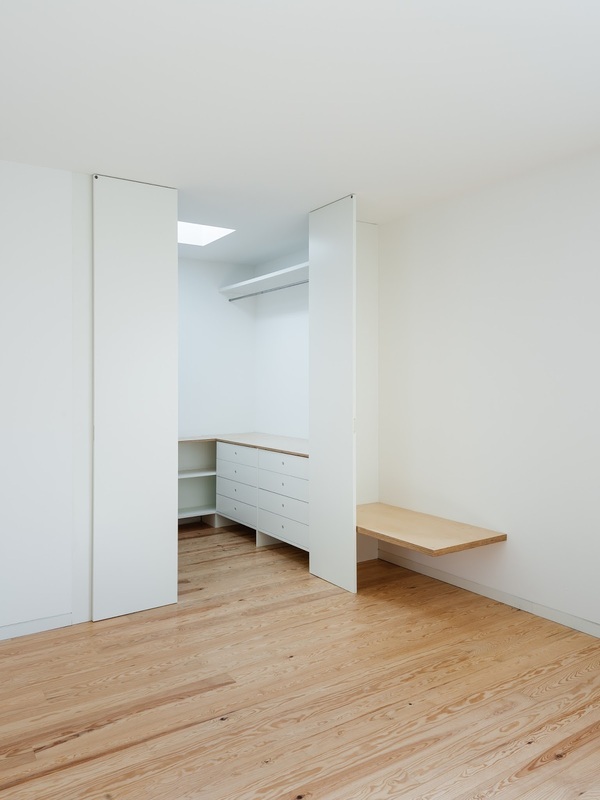 The house makes up for its small size by connecting spaces. It seizes the exterior of both the garden and patio, incorporating them through the continuity of the elements. 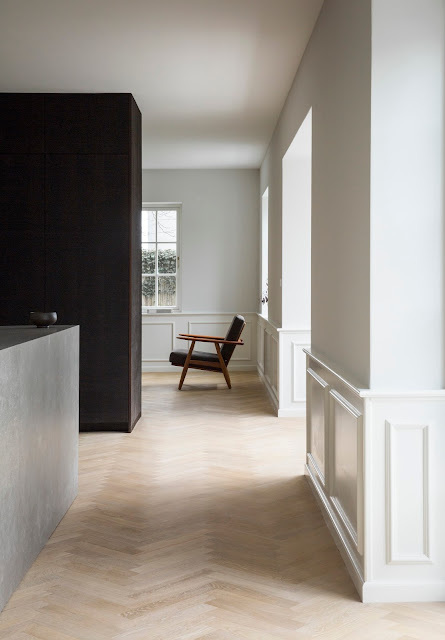 The interiors follow one another, link and relate visually. Always offering distant perspectives and specific visual relations with the outside. 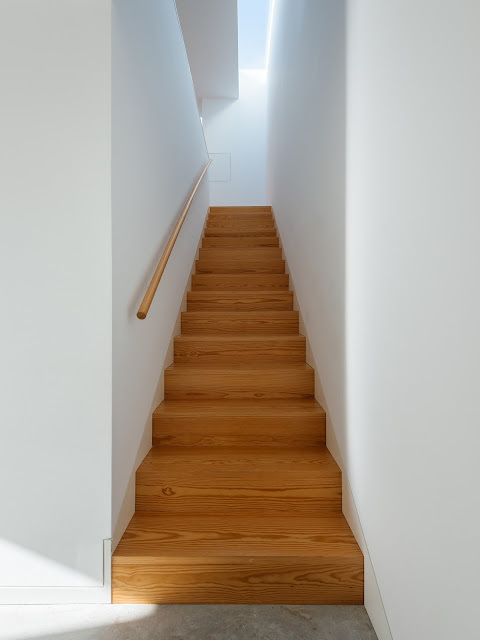 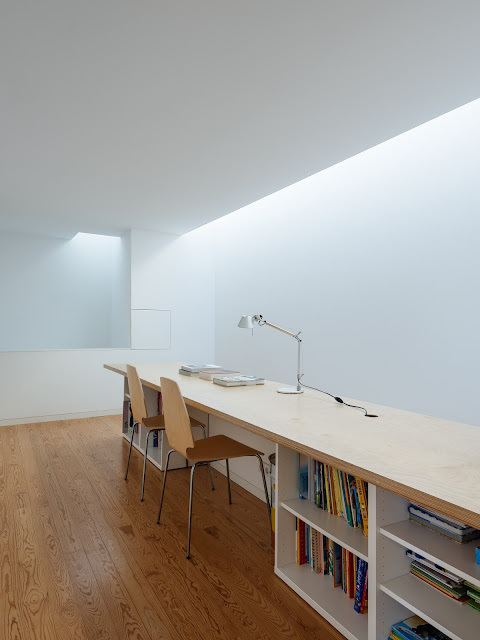 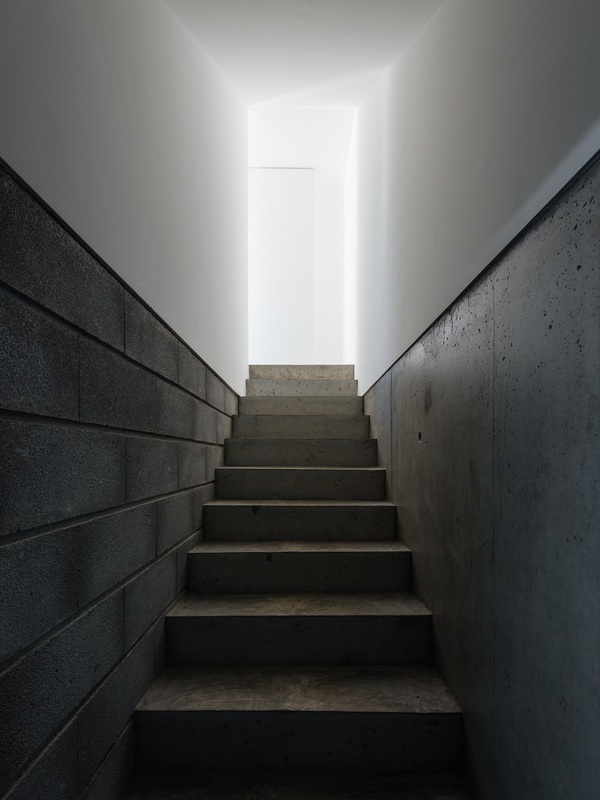 The organisation on three floors responds to the classical system of services - social areas - bedrooms, characterised by differences in light and materiality: from the cavernous basement to the overhead light that bathes the stairs and the work area adjacent to it at the top floor. 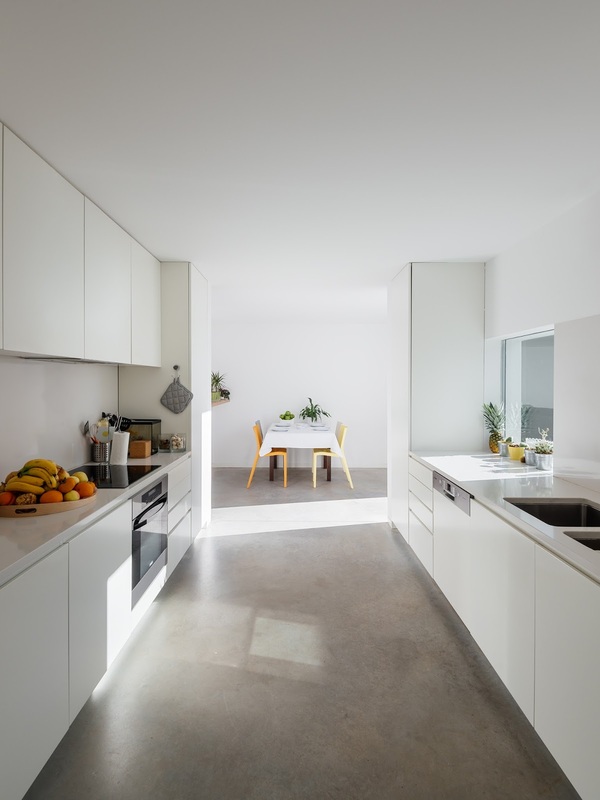 The social floor is organised around the kitchen which the owners, a couple with young children, considered the centre of their activity and their house habits. 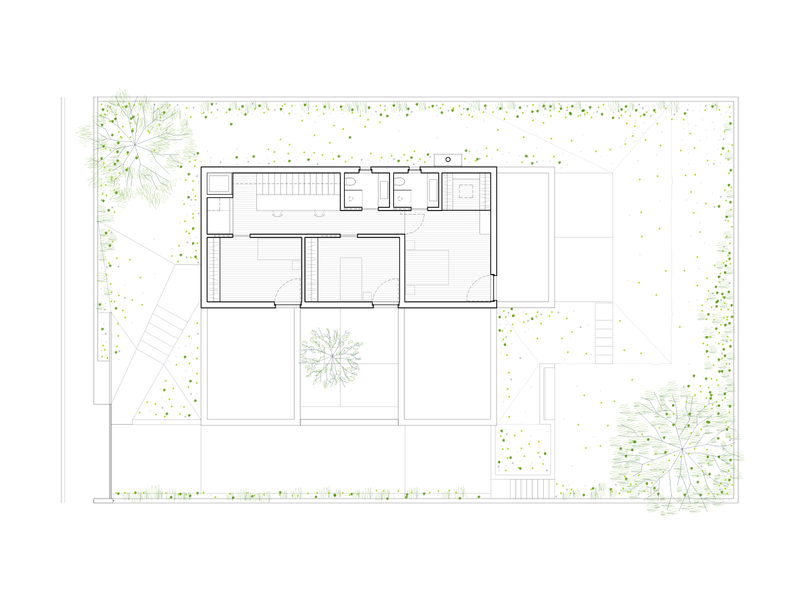 The two larger divisions occupy opposite ends: the south living room appropriates the garden and the studio to north closes to the street. Both connect through the courtyard, which belongs to them equally. 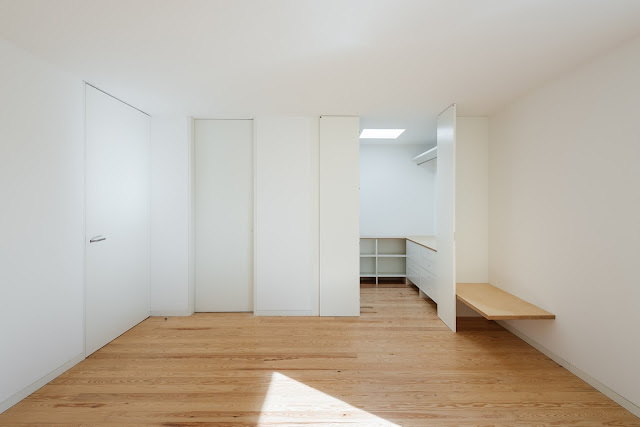 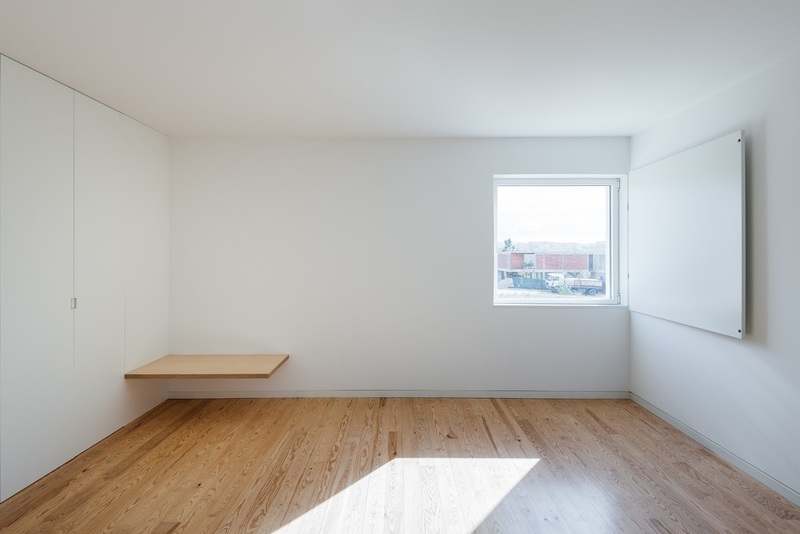 All plans that connect these spaces are continuous and fluid, and hidden door and window frames fade limits. 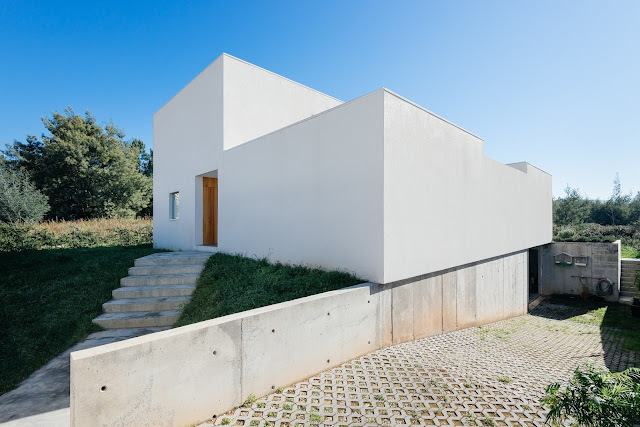 The construction of this house was made with a strict economic control and quality, aiming at the correct execution of the details thus allowing, with a very limited budget, surprising results."